If only Michael Jackson was around to see this. They’re called “liquid nose jobs,” and they’re on the rise. By injecting dermal fillers into the skin of the nose, plastic surgeons have found a less conspicuous, non-surgical way to reshape the sniffer. And, like Botox injections and other minimally invasive procedures, it’s become a hit over the last decade and a half, local experts said. In fact, annual soft-tissue filler use for procedures such as liquid rhinoplasty has increased 253 percent since 2000, according to the American Society of Plastic Surgeons. About 2.3 million people used fillers in the last year alone, compared with 650,000 back in 2000. The growth can be attributed in part to the improved quality of the fillers and the medical community’s grasp on how to best utilize them. But the real appeal lies in their ease of use. Filler procedures are incredibly quick and there’s practically no recovery period. Walk in to a consultation with a plastic surgeon and 15 minutes and a few shots later, it’s done. No hassle, no pain, no problem. There’s also no commitment, since fillers are temporary and last between six months and a year. They can be adjusted at any time or entirely reversed with the injection of an enzyme, said Dr. Andrew Jacono, a dual board-certified facial plastic and reconstructive surgeon affiliated with North Shore University Hospital in Manhasset. That makes fillers perfect for people who want to “try on their nose,” Jacono said. At about $600 to $1,500 per session, fillers are great for those who can’t manage the cost of permanent surgery, which can run anywhere between $5,000 and $10,000. Even so, that can add up quickly over the course of a few years. “It becomes cost prohibitive,” Funt said, and doesn’t make sense for those who want a permanent solution. Overall, Americans spent $5 billion on non-surgical cosmetic procedures in 2013 and about $2.7 billion on injectables, according to the American Society of Aesthetic Plastic Surgery. In Funt’s experience, the patients who most often seek liquid nose jobs are those who have suffered deformities as a result of a surgical rhinoplasty and need adjustments. He also sees many patients who want simple nose-tip lifts or alignments of asymmetrical features. 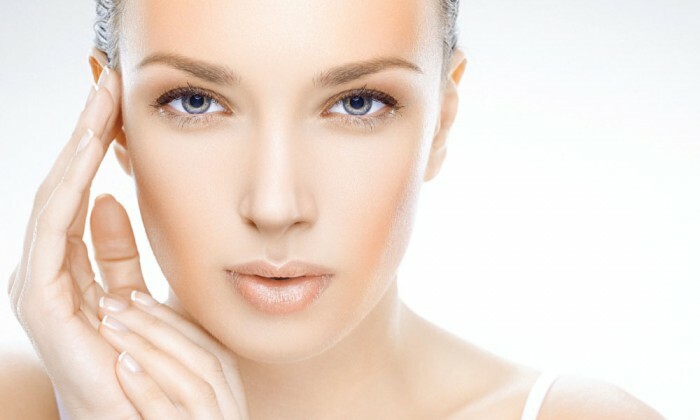 “The upside to liquid rhinoplasty versus some areas of the face is that there’s less movement,” said Dr. Noel Natoli, a board-certified plastic and reconstructive surgeon with the Long Island Surgical Group. “It’s a static organ, so the filler there lasts longer” than filler injected into the laugh lines or cheeks, she added, noting that filler use all over the face is growing in popularity. And there’s little risk associated with injectable fillers, the most common of which are made of hyaluronic acid, a sugar molecule contained in skin, cartilage and bones. Funt, who works as a product development and complication-mitigation consultant and instructor for the three main filler manufacturers—the makers of Restylane, Juvéderm and Radiesse— said serious side effects are relatively rare, appearing in less than 1 percent of patients. A 2006 study by the American Society of Ophthalmic Plastic and Reconstructive Surgery found that some form of complications occur in about 5 percent of patients, but most problems fade away with time. Side effects ranged from the more common injection-related bruising and swelling to rare cases of clogged facial arteries, blindness and even paralysis. “It’s a matter of appropriate caution,” Funt said, noting that experience, credentials and common sense reign supreme in the world of injectable fillers. Natoli cautioned against participating in the risky business of injectable parties, where inexperienced and unqualified people inject their friends with fillers and neurotoxins like Botox, which disconnect nerve supple to the muscle. “Be wary of the bargaining aspect,” she said.